No man left behind? The United States Senate Subcommittee Report on Prisoners of War documents with irrefutable evidence that American POWs were knowingly left behind by the federal government in communist prison camps at the end of World War I, World War II, Korea, Vietnam, Indochina and the Gulf War, all with the full knowledge and approval of every sitting president at that time and every president thereafter. “Readers will find in this report something which has never before been attempted: An historical analysis of the fate of U.S. POW/MIAs.” — Senator Jesse Helms, Ranking Member of the Minority Staff of the U.S. Senate Committee on Foreign Relations, as quoted in An Examination of U.S. Policy Toward POW/MIAs, May 23, 1991. “I will never leave a fallen comrade to fall into the hands of the enemy…” — An excerpt from the Ranger Creed, developed by Army Chief of Staff General Creighton Abrams who, in the midst of the Vietnam War in 1974, created battalions called Rangers, elite infantry soldiers derived from the Rogers’ Rangers of the French and Indian War. “Because none were left behind according to Washington, none are obviously there, so why bother looking?” — Colonel Robert Miller, America’s Abandoned Sons, (Xlibris Corporation Publishers, June 19, 2012), Chapter 4, p. 134. “Military men are ‘dumb, stupid animals to be used’ as pawns for foreign policy.” — Henry Kissinger in an address to Alexander Haig, former United States Army General and Secretary of State (1981-1982), as quoted in The Final Days by Carl Bernstein and Bob Woodward, (Simon & Schuster, 2005), Chapter 14, pp. 194-195. “Everyone is Expendable.” — Colonel Millard A. Peck, United States Army, Chief of the Special Office for Prisoners of War and Missing in Action (POW/MIA), in his request memorandum to resign his position on February 12, 1991. Please send this to everyone you know with a loved one’s name on a wall who was “officially” declared a prisoner of war or missing in action. As long-time chairman of the powerful Senate Foreign Relations Committee, he demanded a staunchly anti-communist foreign policy that would reward America’s friends abroad, and punish its enemies. The Minority Staff also wishes to thank Kris Kolesnik, of Senator Grassley’s staff, and Dino Carluccio, of Senator Smith’s staff, for their cooperation and encouragement. Throughout this century, the United States, as a nation, has anguished over the plight of American prisoners of war, both known and missing. The emotional ordeal of the families, the debt which the nation owes to those who have put their lives on the line for their countries, and the human dignity of each and every single soldier, or sailor, or airman ought to have an incalculable bearing on our national policies and our honor. On the record, the U.S. government has professed to give these concerns “the highest national priority.” Off the record, this priority vanishes. Instead, other considerations emerge: Grand visions of a foreign policy of peace and reconciliation; desire for a new economic order of trade and investment; ideological imperatives to down play the hostility of antagonistic systems; and the natural tendency of the bureaucracy to eliminate its workload by filing cases marked ‘closed’ instead of finding the people. [In October 1990], the Minority Staff published an Interim Report based on hundreds of interviews and reviews of raw intelligence data in DOD files. The Interim Report suggested that DOD was more interested in manipulating and managing the issue than in finding living POWs listed as missing. But as the investigation proceeded, the weight of evidence of failure—a failure of the U.S. Government to meet its sacred trust—became overpowering. 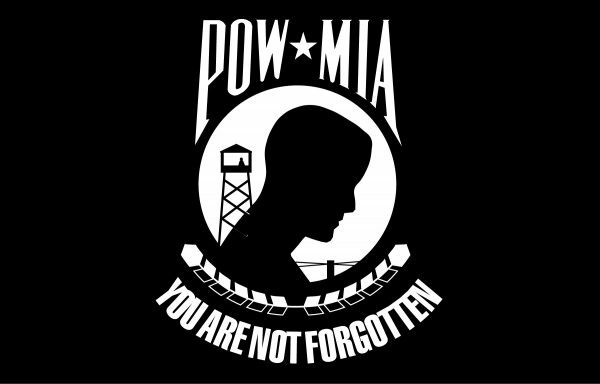 Was it really possible that officials in the Executive Branch charged with the solution of POW/MIA issues could have failed so miserably to respond to the needs of the American people? Was it simply that the emotions of the POW/MIA-concerned community were making objective appraisal of DOD’s work impossible? The resignation of the director of DOD Special Office for POW/MIA Matters, Col. Millard A. Peck, submitted on February 12, but made public only last month, offered unexpected and extraordinary support for the findings of the Interim Report. (Col. Peck’s resignation will be treated in detail later in this report.) But the question remained: Was it credible that such a failure could occur? To answer that question, it was necessary to turn to history. The interim conclusions are very disturbing. After examining hundreds of documents relating to the raw intelligence, and interviewing many families and friends of POW/MIAs, the Minority Staff concluded that, despite public pronouncements to the contrary, the real, internal policy of the U.S. government was to act upon the presumption that all MIAs were dead. In a detailed and forthright letter, which did not become public until May, Colonel Peck confirmed that a “cover-up” has been in progress. He spoke of a “mindset to debunk.” He said that there was no effort to pursue “live sightings.” He stated that “any soldier left in Vietnam, even inadvertently, was, in fact, abandoned years ago.” Lastly, he criticized the U.S. government’s treatment of the families and friends of the POW/MIAs. The fact that Colonel Peck’s conclusions were so similar to the conclusions of the Minority staff is a matter of regret, rather than a vindication. I had hoped that the Minority Staff investigators would be able to alter their preliminary findings, because the implications of a deliberate effort by the U.S. government to deceive the American people is a matter that all of us would prefer to believe unthinkable. Helms wrote that as the Minority Staff pursued its investigations, it became clear that the U.S. experience with the Vietnam POW/MIAs is not unique in history. Echoes of similar experiences in dealing with other, and earlier Communist regimes on the subject of POW/MIAs came up with increasing frequency. Readers will find in this report something which has never before been attempted: An historical analysis of the fate of U.S. POW/MIAs in the hands of the Bolshevik regime after World War I, the Soviet regime after World War II, the North Korean regime after the Korean War, and the Vietnamese regime after the Vietnam War. In each case, the same dismaying scenario appears: On the Communist side, the regimes denied holding U.S. prisoners, contrary to credible reports, while in fact they were holding the U.S. POW/MIAs as slave laborers and as reserve bargaining chips to get diplomatic recognition and financial assistance. On the U.S. side, our government downplayed or denied the report of POW/MIAs, and failed to take adequate steps to prove or disprove the reports, while elements in our government pursue policies intended to make diplomatic recognition and financial support of the revolutionary regimes possible. In other words, all of the men who were MIA were determined to be KIA-BNR [killed in action, body not recovered] on the date they were reported missing. It is difficult to accept the official U.S. accounting of U.S. casualties of the 1918-1919 Northern Russian Expedition, particularly because all men who were MIA were officially determined to be KIA-BNR on the date they were reported as missing. World War II was a great military victory for the United States Armed Forces. In both the European and the Pacific theaters, the enemy unconditionally surrendered. However, despite the total victory in Europe by Allied Forces, thousands and thousands of U.S. soldiers—perhaps as many as 20,000—were never repatriated from prisoner of war (POW) camps, prisons and forced labor and concentration camps. These American soldiers were being held in Nazi prison camps, along with other Allied POWs and some Nazi captives, when they were overrun by the Red Army. Thus, hundreds of thousands of Allied POWs who had been held by the Nazis, as well as millions of Western European citizens, or Displaced Persons, came under Red Army control. Indeed, this number increased because General Dwight D. Eisenhower, the Supreme Allied Commander in Europe, decided to stop the U.S. and British drive eastward into Germany, in order to wait for the Soviet forces driving West, so that the U.S. and Soviet forces could meet in Berlin. The claim of the second Eisenhower cable that “only small numbers of U.S. prisoners of war still remain in Russian hands” and that these “no doubt are scattered singly and in small groups as no information is available of any large numbers in specific camps,” directly contradicts the information in the Kenner memorandum which states, a mere 48 hours earlier, that 20,000 U.S. POWs were still being held by the Red Army. Furthermore, it directly contradicts the information in General Deane’s letter dated the day before that “information which indicates that 15,597 United States liberated prisoners of war are now under control of Marshal Tolbukhin.” Given the contents of Major General Deane’s TOP SECRET letter, and given the contents of the Kenner memorandum, the Eisenhower cable of June 1 appears to be an attempt to gloss over a serious problem. The conclusion is that even a rudimentary assessment of the Allies’ own figures suggests that some 12,500 Americans were never repatriated from Red Army controlled territory. U.S. government documents state that nearly one thousand known captive U.S. POWs—and an undetermined number of some 8,000 U.S.MIAs—were not repatriated at the end of the Korean War. In 1973, the Vietnamese used POWs in an attempt to blackmail the United States into providing nearly $5 billion in so-called “reparations.” Both the United States and Vietnam asserted in that year that “OPERATION HOMECOMING” was bringing home all known prisoners. The Vietnamese believed that they had a deal—a dirty deal, to be sure, in which prisoners would be exchanged for cold cash. It was a deal brokered by Secretary of State Henry Kissinger via a secret hand-carried letter. It would be perfectly consistent with the historical Communist policy to hold back prisoners against their will, and even the remains of the dead, to exchange for dollars at a later date. The evidence of this investigation, therefore, must be weighed against the probabilities of the historical background. Most of this information is not well-known by the American public; however, all of it is based on open-source material, including official U.S. Government documents that have been declassified and collected from official agencies through Freedom of Information Act requests and through research from the National Archives, Washington, D.C. These statements were made notwithstanding the eighty men cited by Henry Kissinger held by the North Vietnamese, and notwithstanding the fact the no U.S. POWs held by Pathet Lao forces have ever been repatriated. Clearly, both of the above United States Government statements were demonstrably false; they were designed—one can only speculate—to persuade the media that information with regard to prisoners still alive in Southeast Asia had no foundation whatsoever, and furthermore, only compounded the emotional anxiety of anxious and grieving family members. The fact of the matter is that the Pathet Lao publicly admitted to holding U.S. POWs in Laos, yet the U.S. government abandoned any attempt to bring them back home. Yet amazingly, the U.S. Government has not judged a single one of these thousands of reports to be credible. Instead, the policy enunciated by an official statement of the U.S. Government in 1973 was that there was “no evidence that there were any more POWs still alive in all of Indochina.” In spite of 1,400 unresolved reports of first-hand live-sightings, the Department of Defense, remarkably, still believes it has “no evidence.” How does it dismiss these reports? It should be noted that “missing,” under U.S. Army regulations, is quite distinct from MIA. “Missing” is reserved from personnel unaccounted for in non-combat operations. From the Army’s point of view, the convoy [Heavy Equipment Transport] was a non-combat operation, even though it was under heavy enemy fire. SPC Melissa Rathbun-Nealy and SPC David Lockett “were never listed as MIA or POW, even though the Army had information that they had been captured under fire. This distinction is an important illustration of how DOD uses technical distinctions to avoid a finding of POW/MIA. In a letter to Mr. and Mrs. Leo Rathbun, Lt. Colonel J.G. Cole, Chief POW/MIA Affairs, demonstrates how DOD, even in real-time cases, fails to follow up obvious leads or to ask obvious questions. The case of SPC Rathbun-Nealy and SPC Lockett is a vivid illustration to keep in mind when considering the bureaucratic mindset that refuses to go outside of artificial restrictions in order to find real people. If the case had been prolonged, if the report had come months or even years later, if the vivid memories of the event had gathered dust in DOD files, the same facts would have been true. Numerous government documents available under the Freedom of Information Act (FOIA), documents in public archives, and published works, most of the extensive covert military operations throughout Southeast Asia between 1955 and 1975 remain classified. As a result, DOD’s list of U.S. personnel lost while on covert or “black” military operations in Southeast Asia (i.e., Laos, Cambodia, Thailand, North Vietnam, South Vietnam, Burma, and the southern provinces of the People’s Republic of China) is highly suspect. As a result, this precludes a presentation of evidence that the lists of POW/MIA and KIA-BNR from Southeast Asia are skewed as a result of withholding of casualty counts from black operations. But the continued effort by the U.S. government to keep records of these operations classified, or to withhold information related to these operations under FOIA exemptions tends to indicate information on U.S. casualties related to these activities may not be accurate. An early 1970’s Senate hearing on military operations on Southeast Asia was given classified information on losses from classified operations in Southeast Asia, but that information remains classified and is not included in this report. Needless to say, the covert nature of classified operations has to remain secure even when personnel involved disappear. According to sources interviewed for this report, if an individual on a covert military of intelligence operation is lost—becomes an unrecovered casualty, i.e. either captured or KIA-BNR [killed in action, body not recovered]—he might be declared dead immediately. Motivation. My initial acceptance of this posting was based upon two primary motives: first, I had heard that the job was highly contentious and extremely frustrating, that no one would volunteer for it because of its complex political nature. This, of course, made it appear challenging. Secondly, since the end of the Vietnam War, I had heard the persistent rumors of American Servicemen having been abandoned in Indochina, and that the Government was conducting a “cover-up” so as not to be embarrassed. I was curious about this and thought that serving as the Chief of POW-MIA would be an opportunity to satisfy my own interest and help clear the Government’s name. General Attitudes. Additionally, surveys of active duty military personnel indicated that a high percentage (83%) believed that there were still live American prisoners in Vietnam. This idea was further promulgated in a number of legitimate veterans’ periodicals and professional journals, as well as the media in general, which held that where there was so much smoke there must be fire. Cover up. The dark side of the issue was particularly unsettling because of the persistent rumors and innuendos of a Government conspiracy, alleging that U.S. military personnel had been left behind to the victorious communist governments in Vietnam, Laos, and Cambodia, and that for “political reasons” or running the risk of a second Vietnam War, their existence was officially denied. Worse yet was the implication that DIA’s Special Office for POWs and MIAs was an integral part of this effort to cover the entire affair up so as not to embarrass the Government nor the Defense Establishment. The Crusade. As a Vietnam veteran with a certain amount of experience in Indochina, I was interested in the entire POW-MIA question, and willingly volunteered for the job, viewing it as a sort of holy crusade. The Harsh Reality. Heading up the Office has not been pleasant. My plan was to be totally honest and forthcoming on the entire issue and aggressively pursue innovative actions and concepts to clear up the live sighting business, thereby refurbishing the image and honor of the DIA. I became painfully aware, however, that I was not really in charge of my own office, but was merely a figurehead or whipping boy for a larger and totally Machiavellian group of players outside of DIA. What I witnessed during my tenure as the cardboard cut-out “Chief” of the POW/MIA could be euphemistically labeled as disillusioning. Highest National Priority. That National leaders continue to address the prisoner of war and missing in action issue as the “highest national priority” is a travesty. From my vantage point, I observed that the principal government players were interested primarily in conducting a “damage limitation exercise” and appeared to knowingly and deliberately generate an endless succession of manufactured crises and “busy work.” Progress consisted in frenetic activity, with little substance and no real results. The Mindset to Debunk. The mindset to “debunk” is alive and well. It is held at all levels, and continues to pervade the POW-MIA Office, which is not necessarily the fault of the DIA. Practically all analysis is directed to finding fault with the source. Rarely has there been any effective, active follow through on any of the sightings, nor is there a responsive “action arm” to routinely and aggressively pursue leads. The latter was a moot point, anyway, since the Office was continuously buried in an avalanche of “ad hoc” taskings from every quarter, all of which required an immediate response. It was impossible to plan ahead or prioritize courses of action. Any real effort to pursue live sighting reports or exercise initiative was diminished by the plethora of “busy work” projects directed by higher authority outside DIA. A number of these grandiose endeavors bordered on the ridiculous—quite significantly—there was never an audit trail. None of these taskings was ever requested formally. There was, and still is, a refusal by any of the players to follow normal intelligence channels in dealing with the POW/MIA office. Duty, Honor, Integrity. It appears that the entire issue is being manipulated by unscrupulous people in the Government, or associated with the Government. Some are using the issue for personal or political advantage and others use if as a forum to perform and feel important, or worse. The sad fact, however, is that this issue is being controlled and a cover up may be in progress. The entire charade does not appear to be an honest effort and may never have been. POW/MIA Officers Abandoned. When I assessed the office for the first time, I was somewhat amazed and greatly disturbed by the fact that I was the only military officer in an organization of more than 40 people. Since combatants of all Services were lost in Vietnam, I would have thought there would at least be a token service representation for a matter of the “highest National priority”. Since the normal mix of officers from all services is not found in my organization it would appear that the issue, at least at the working level, has, in fact, been abandoned. Also, the horror stories of the succession of military officers at the 0-5 and 0-6 level who have in some manner “rocked the boat” and quickly come to grief at the hands of the Government policy makers who direct the issue, lead one to the conclusion that we are all quite expendable, so by extrapolation one simply concludes that these same bureaucrats would “sacrifice” anyone who was troublesome or contentious—including prisoners of war and missing in action. Not a comforting thought. Any military officer expected to survive in this environment would have to be myopic, an accomplished sycophant, or totally insouciant. The DIA Involvement. DIA’s role in the affair is truly unfortunate. The overall Agency, has generally practiced a “damage limitation drill” on the issue, as well. The POW/MIA Office has been cloistered for all practical purposes and left to its own fortunes. The POW office is the lowest level in the Government “effort” to resolve the issue, and oddly for an intelligence organization, has become the “lighting rod” for the entire establishment on the matter. The policy people manipulating the affair have maintained their distance and remained hidden in the shadows, while using the Office as “toxic waste dump” to bury the whole “mess” out of sight and mind in a facility with limited access to public scrutiny. Whatever happens in the issue, DIA takes the blame, while the real players remain invisible. The fact that the POW/MIA Office is always the center of an investigation is of no surprise. Many people suspect that something is rotten about the whole thing, but cannot find an audit trail to ascribe blame, so they attack the DIA/POW/MIA “dump”, simply because it has been placed in the line of fire as a cheap, expendable decoy. “Suppressio Veri Suggesto Falsi.” Many of the puppet masters play a confusing murky role. For instance, the Director of the National League of Families occupies an interesting and questionable position in the whole process. Although assiduously “churning” the account to give a tawdry illusion of progress, she is adamantly opposed to any initiative to actually get to the heart of the problem, and, more importantly, interferes in or actively sabotages POW-MIA analyses or investigations. She insists on rewriting or editing all significant documents produced by the Office, inserting her own twist or meaning to what was originally prepared. This is then touted as the DIA position. She apparently has access to top secret, codeword message traffic, for which she is supposedly not cleared, and she receives it well ahead of the DIA intelligence analysts. Her influence in “jerking around” everyone and everything involved in the issue goes far beyond the “war and MIA protester gone straight” scenario. She was brought from the “outside” into the center of the imbroglio, and then, cloaked in a mantel of sanctimony, routinely impedes real progress and insidiously “muddles up” the issue. One wonders who she really is and where she came from. . . The Stalled Crusade. Unfortunately, what began on such a high note never succeeded in embarking. In some respects, however, I have managed to satisfy some of my curiosity. Everyone is Expendable. I have seen firsthand how ready and willing the policy people are to sacrifice or “abandon” anyone who might be perceived as a political liability. It is quick and facile, and can be easily covered. High-Level Knavery. I feel strongly that this issue is being manipulated and controlled at a higher level, not with the goal of resolving it, but more to obfuscate the question of live prisoners, and give the illusion of progress through hyperactivity. “Smoke and Mirrors.” From what I have witnessed, it appears that any soldier left in Vietnam, even inadvertently, was, in fact, abandoned years ago, and that the farce that is being played is no more than political legerdemain done with “smoke and mirrors”, to stall the issue until it dies a natural death. National League of Families. I am convinced that the Director of this organization is much more than meets the eye. As the principal actor in the grand show, she is in the perfect position to clamor for “progress”, while really intentionally impeding the effort. And, there are numerous examples of this. Otherwise, it is inconceivable that so many bureaucrats in the “system” would instantaneously do her bidding and humor her every whim. DIA’s Dilemma. Although greatly saddened by the role ascribed to the Defense Intelligence Agency, I feel, at least, that I am dealing with honest men and women who are generally powerless to make the system work. My appeal and attempt to amend this role perhaps never had a chance. We, all, were subject to control. I particularly salute the personnel in the POW-MIA Office for their long suffering, which I regrettable was unable to change. I feel that the Agency and the Office are being used as the “fall guys” or “patsies” to cover the tricks of others. One Final Vietnam Casualty. So ends the war and my last grand crusade, like it did actually did end, I guess. However, as they say in the Legion, “je ne regrette rein…” For all of the above, I respectfully request to be relieved of my duties as Chief of the Special Office for Prisoners of War and Missing in Action. A Farewell to Arms. So as to avoid the annoyance of being shipped off to some remote corner, out of sight and out of the way, in my own “bamboo cage” of silence somewhere, I further request that the Defense Intelligence Agency, which I have attempted to serve loyally and with honor, assist me in being retired immediately from active military service. How many people in America know that 19% of our casualties from World War II are still missing today? That’s 78,000 people, not a statistic. How many people know that 25,000 of them were POWs held in German prison camps captured by the Russians and then shipped off to Stalin’s work camps and were worked to death? How many Americans know that thousands of Korean and Vietnam War POWs also suffered the same fate? How many know that in 1995, then-Russian President Boris Yeltsin publicly stated that the Soviets had kept thousands of American servicemen in their Gulag system, and the Russian government offered the American military the personnel files of the first 4,000 Americans who perished in their slave labor system? How many people know that the U.S. military’s missing persons office, Defense Prisoner of War/Missing Personnel Office (DPMO), turned down the offer so that they could maintain the fiction that they didn’t know anything about it? Robert S. Miller, a retired Air Force intelligence Colonel and Defense Department intel analyst, deftly chronicled in his book, America’s Abandoned Sons, how the military-industrial complex and American politicians left behind over 88,000 servicemen from America’s wars of the 20th century. Miller’s encyclopedic knowledge of the subject and presentation of incontrovertible facts are both remarkable and sobering. Tens of thousands of America’s WWII, Korean Conflict, and Vietnam War military servicemen ended up as hostages secretly hijacked into the USSR. Today this regrettable saga is still one of America’s most closely guarded secrets. As WWII ended Stalin captured all of Germany’s eastern areas in which tens of thousands of captured American POWs were then being detained by Hitler’s armed forces. Stalin secretly held them as hostages and denied any knowledge of them as the Cold War began. Their status unknown, Washington eventually declared them dead when in fact they were still alive in captivity. Thousands more were lost the same way when the Korean War ended: China and the USSR secretly exploited these hostages for intelligence purposes and then also disposed of them. Vietnam saw still more held back by Hanoi after that conflict ended, for the same reasons again. Today these abandoned sons, a few of whom may still be alive in captivity as you read this, are considered one of Washington’s most closely guarded secrets. Now is time to expose this secret and end this unfortunate Cold War saga. America’s Abandoned Sons presents this subject in the clear, concise, objective verbiage of a veteran defense department analyst. This is a landmark book for the POW/MIA issue, as it was written by an insider and it is packed with evidence to back up the allegation that the Defense Department has been lying about the fate of its missing servicemen for almost seven decades. An Enormous Crime is nothing less than shocking. Based on thousands of pages of public and previously classified documents, it makes an utterly convincing case that when the American government withdrew its forces from Vietnam, it knowingly abandoned hundreds of POWs to their fate. The product of twenty-five years of research by former Congressman Bill Hendon and attorney Elizabeth A. Stewart, this book brilliantly reveals the reasons why these American soldiers and airmen were held back by the North Vietnamese at Operation Homecoming in 1973, what these brave men have endured, and how administration after administration of their own government has turned its back on them. This authoritative exposé is based on open-source documents and reports, and thousands of declassified intelligence reports and satellite imagery, as well as author interviews and personal experience. An Enormous Crime is a singular work, telling a story unlike any other in our history: ugly, harrowing, and true. Controversial former North Carolina congressman Hendon and attorney Stewart make the case that the U.S. knowingly left hundreds of POWs in Vietnam and Laos in 1973, and that every presidential administration since then has covered it up. The main reason for the secrecy, say the authors, is the billions in war reparations demanded by the Vietnamese and promised by Henry Kissinger and Richard Nixon at the Paris Peace talks. Hendon and Stewart provide a mountain of evidence, mainly intelligence reports of live sightings of American prisoners in Vietnam and Laos that make for less-than-scintillating reading. But riveting sections describe Hendon’s crusade on this issue in the early 1980s, including two meetings with President Reagan, pleading his case that the government free the live POWs. Hendon and Stewart directly accuse a long list of government officials of the coverup. Among the most culpable: Kissinger, President George H.W. Bush, Senators John McCain and John Kerry, Gen. Colin Powell, former secretary of state George Schultz and former defense secretary Donald Rumsfeld. It’s a chore wading through the live-sighting reports and the massive, detailed end notes, but the descriptions of Hendon’s unsuccessful personal mission provide an intriguing story—and carry the ring of truth. Click here to download official prison inspection requests to government officials and the Joint POW/MIA Accounting Command (JPAC), from U.S. Reps. Bill Hendon (R-NC) and John LeBoutillier (R-NY), pertaining to the research and investigation for An Enormous Crime by Hendon and Stewart. Read Sydney Schanberg’s expository story here. According to Paul Springer, an associate professor of comparative military studies at the Air Command and Staff College, which was to leave no fellow soldier behind, “There are limits to the concept of what we will and won’t do,” regarding World War I and World War II not proving to be ideal conflicts in which to rescue soldiers who had found themselves in danger behind enemy lines. “I think there’s plenty of evidence that we’ve [left soldiers behind],” Thomas Phillips, coauthor of the book, Leave No Man Behind: The Saga of Combat Search and Rescue, told Mashable in June of 2014. To add insult to injury, the Vietnam Memorial was built in the shape of a black Delta rune, a symbol of powerful occult magic. 20th Century occultist and satanist, Aleister Crowley (1875-1947), who wrote a number of books on black magic, including his magnum opus, Magick in Theory and Practice, Part III of Magick, Liber ABA, Book 4, considered Set to be synonymous with Shaitan (Satan), the Arabic name of the devil. Likewise, the Temple of Set was consecrated in Santa Barbara, California during the summer solstice of June 1975, by Lt. Col. Michael A. Aquino, a former U.S. Army Psychological Operations research and analysis officer, who co-wrote the infamous document From PSYOP to MindWar: The Psychology of Victory with then-Colonel Paul E. Valley. The Temple of Set was an offshoot of the Church of Satan, founded by Anton LaVey, who authored the Satanic Bible. To say nothing of the Army’s Delta Force and its most notorious former commanders, Col. James Gordon “Bo” Gritz and Lt. Gen. William G. “Jerry” Boykin, the architects of the Waco massacre, which took place on April 19, the Spring Equinox occult blood sacrifice to the beast by fire. You see? Its all a big sick joke to these people. The federal government intentionally and routinely covered-up our live POWs abroad, and there have always been many unanswered questions regarding the official abandonment policy in Washington. The recent revelations regarding the changing policies toward POWs, however, became painfully clear with the highly politicized and scripted “prisoner swap” for Sgt. Bowe Bergdahl. That was merely a bone thrown to the American public, and three of the five Taliban terrorists exchanged for the deserter are now high level commanders of the Islamic State. But we don’t negotiate with terrorists. Right? Also, if you had any doubts about our government’s abandonment policy, after Benghazi, there should no longer be any question. Investigative journalist Mitchell Zuckoff, explained in his book, 13 Hours: The Inside Account of What Really Happened In Benghazi, what U.S. security operators who survived the attack on Benghazi experienced the night of September 11, 2012, and how the victims: U.S. Ambassador to Libya J. Christopher Stevens, U.S. Foreign Service Information Management Officer Sean Smith, and U.S. Navy SEALs Glen Doherty and Tyrone S. Woods, were intentionally abandoned to die by the current administration. Emails have surfaced from insiders which prove that virtually every single member of Obama’s White House staff—including those at the U.S. State Department—knew that the terrorist strike was not a mob uprising, which had been the White House talking point from day one. These emails also prove that the White House, in fact, knew that the assault was taking place in real time, and not only did nothing to intervene, but ordered top military commanders like General Carter Ham to stand down. Mitchell Zuckoff details in his book how the survivors of Benghazi were gagged by investigators of federal agencies in order to make it very difficult to officially recount their testimony of the events of that night. Why? Because the Central Intelligence Agency’s safe-house at the “consulate” in Benghazi was actively engaged in arming, training and funding terror cells of the Islamic State for future Middle East incursions in the continuing CIA covert Operation Cyclone to militarily attack and destabilize targeted regions for conquest. That’s what was going on there, that’s why it was covered-up, and that’s why these men were abandoned to die by the Obama Administration. The fact that this administration was arming the enemy was not supposed to get out. The truth was supposed to die with Ambassador Stevens and the rest. The House Select Committee hearings on Benghazi are now underway with Representative Trey Gowdy (R-SC) chairing. Thankfully, some of the truth about this treason against our nation may finally see the light of day. However, my better judgment tells me different. Considering similar past Select Committees (such as Iran-Contra) confirms that not much will come of this at all. For, as history has shown us, the real intent of these committees and so-called “investigations” are not to disclose the truth, but to act as gate-keepers and disseminate only so much information as to satiate the public cravings and paint over the truth under a benevolent, thinly-veneered gloss of betrayal. And now, Attorney General Eric Holder is announcing his resignation, yet another rat jumping ship. He is staying one step ahead of the burning bridge, and I guess he is feeling too much heat from either the Benghazi hearings, or the facilitation of criminal banking, or the purging of whistleblowers, or the Fast & Furious gun-running operation to arm Islamic extremists and Mexican drug cartels for a future invasion of the southern U.S. border states, or any number of other high crimes perpetrated during his tenure as the martial law administration arm of the Executive Branch in the military districts of the United States. Also to consider, is the fact that any future prosecution of the criminal Wall Street bankers (money changers) and their political facilitators will lead directly back to Washington and land on the desk of the Attorney General of the United States of America. No man left behind? That’s just a slogan that is no longer in effect; a spirited cliché to make apathetic people feel better about abandoning America’s sons on foreign enemy battlefields; an old principle that doesn’t suit the ambitions of the new military-industrial complex. The amusement park is closed. The rides have stopped. The music has fallen silent. The people have left and your ticket has expired . . . It’s time to come out of Fantasy Land. Timothy A. Pope is the author of AmericaTheBattlefield.blogspot.com, a thoroughly-documented online resource of suppressed information cited with extensive official government and military documentation, with analysis and correlation of the current domestic and foreign policy of the United States of America. The goal of America the Battlefield is to confirm that the agenda for the establishment of a new international order and a world totalitarian socialist government is not a “conspiracy theory,” but in fact a carefully-crafted long-term plan brought about by the people and organizations with the patience, purpose, vision and resources to see it to fruition. It is also this author’s attempt to shed light upon the conspiratorial nature of history, proving beyond a shadow of a doubt that none of this plan was constructed in a vacuum or in secret, but is all documented in the law, the Congressional Record, the Federal Register, treaties, military training manuals, presidential decision directives, executive orders, NSC memorandums, and other classified and non-classified documentation. He is a former Sergeant of Marines, a husband, father, patriot, defender of Freedom, and follower of Jesus Christ. He lives in Florida and is currently writing a book compiling important research that all Americans need to know about.